Yesterday was a beautifully sunny day and so I decided to go for a walk to get the things I needed to make curry that evening. On my way to the supermarket I walked past Gap's window and – as I am blessed with four fabulous godchildren – I took a look in the window to see what spring offerings were on show and what winter sale bargains there might be. And I stopped still and stared at it for about 10 minutes, grinning like a loon. The child is gorgeous. She has those amazing eyelashes that some kids are just born with, the sweetest expression, she also looks lovely in the clothes she has on. But that's not what caught my eye. What caught my eye was the fact that this child was wearing hearing aids. And they looked fabulous. Indeed, when I put my first tweet about it on Twitter and didn't point out the hardware in the the child's ears, even FJM thought that I was getting broody (*blushes). But for me, it released a wave of emotion I wasn't expecting. 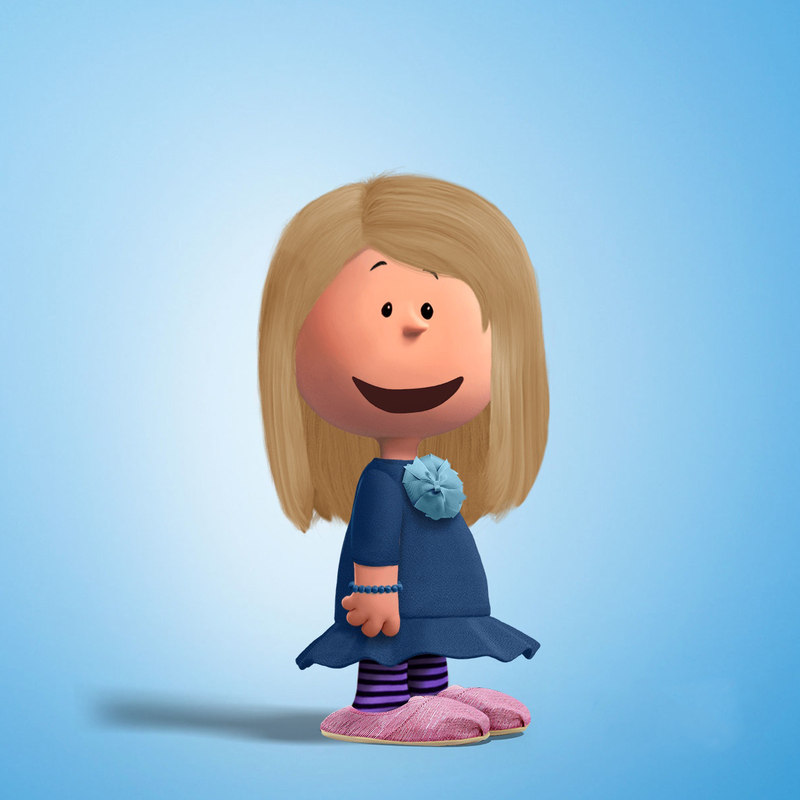 It released the emotions of being 10 years old and being given hearing aids and being different. Of wondering if I would ever be as pretty as my non-hearing aid wearing friends. Of catching sight of myself with glasses and hearing aids and thinking, 'Wow, all I need now is the braces and frizzy hair' and sighing sadly at the poster of some Home & Away star on my wall. What 10 year old doesn't want to be someone else though? Twenty-six years' later, a lot has changed. I spent the best part of 10 years choosing not to wear hearing aids. Not because I was embarrassed but because I couldn't find a pair to help me. Now, I am incredibly proud of being a hearing aid wearer and I will shout until the cows come home about how, while my hearing aids don't give me back my hearing, they add a third dimension that I didn't have before. Sure, there are things I can do about this myself. I can get my tubing replaced, newer moulds to replace the discoloured ones I currently have. Or sparkly moulds like the ones in the GAP advert – does the NHS do these? There are also fabulous businesses like Tubetastic Pimps that allow you to cover your hearing aids with patterns and decorations. But for me personally, I guess I never considered that I might still be pretty with my hearing aids in. That is something I am a bit sheepish about admitting. But what I am even more sheepish about admitting is that fact that, yesterday when I walked past that picture, I wasn't actually wearing my hearing aids. I had put them in before I was about to leave but then taken them out again. I was feeling self conscious about wearing my hair up and my black thick-rimmed glasses as there're not a lot of room for hearing aids, too and my ears sit differently and I don't like my face anymore. I chose to go out and struggle to hear what was going on, to make a fool of myself in Waitrose when I couldn't hear the woman at the checkout because I felt self conscious about my looks and I wanted to look like the me I had in my head not the one in the mirror. But I don't even think I had really admitted any of this to myself until I was faced with a picture of someone who looked amazing and was wearing hearing aids. Looking at that picture yesterday reminded me that hearing aids don't matter when it comes to what someone looks like and that no one else gives a damn about whether my face looks different with my hair up, glasses and hearing aids. Heck, someone might think I look lovely. But adding them to advertising and bringing them out into the public eye, in the same way as glasses are completely the norm, and quite often a fashion statement, might mean that a 10-year-old girl grows up feeling confident and happy with her hearing aids in. Bold and clear about who she is and what her needs are. Brave and fearless about what she can achieve and where she's going. Heck, there's a 36-year-old sat right here feeling all of those things with renewed vigour... wishing her 10-year-old self had had that chance. So bravo Gap. Thank you for making my day. Thank you for reminding me of a few things I'd forgotten. I am Deaf Girly. I wear hearing aids. I am fabulous. And so are you lot. Beauty comes from within!! Society are all too good at creating what they think is 'The Norm', sadly leaving huge cracks in what we should see as acceptable. Anyone who is the slightest bit different gets a rough ride. 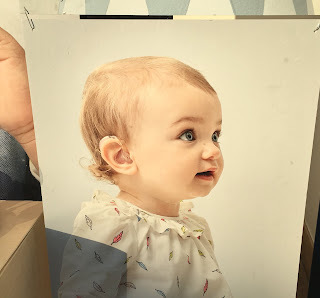 When we saw your tweet yesterday we didn't notice the hearing aids to start with, just thought what a gorgeous little girl.Then thought what an amazing photo, promoting Deaf Awareness as well as their products. Keep up all your tweets...we love them. Don't be afraid to wear your Hearing aids, they are a part of you, they make you extra special. I really really wish there was more D/deaf/HOH representation in the media & big kudos to Gap for this! I resonated with so much in your post as a 22 yr old who has been wearing hearing aids for as long as she can remember. When I was a kid (and even sometimes now) I hated being so clearly different to my peers - and like you I often choose to leave my aids out sometimes. Even little things like just this one advert make so much difference, and I'd have loved to see something like this when I was younger.